We provide Vacuum Extraction in NJ, PA (Bucks, Montgomery & Delaware County), Delaware (DE), Maryland (MD) and New York (NY). Vacuum Extraction is the best, most affordable, non-intrusive and minimally invasive method to detect, locate and clear underground utilities for your project, including gas, water, electric and fiber optic service lines. We are one of the area's leading drilling companies offering vacuum extraction and soft dig. We bring a combined 100+ years of experience and quality service to vacuum extraction and soft dig projects in NJ, PA, DE, MD and NY. The VACMASTERS 1000 Air-Vacuum Excavation System is used for utility clearing in the first five feet of boring locations prior to drilling programs. One of the most effective aspects of the VACMASTERS 1000 is that it is extremely cost effective while maintaining high performance and results. The VACMASTERS 1000 is also highly portable, so it can be used for all vacuum extraction needs in New Jersey (NJ), Pennsylvania (PA), Delaware (DE), Maryland (MD) and New York (NY). The low cost, high productivity VACMASTERS 1000 has assisted in countless vacuum extractions in various terrains and soils. At AmeriDrill, Inc. we pride ourselves on encompassing every facet of the drilling industry. This includes not only vacuum extraction and soft digs, but also Horizontal Drilling, Vertical Drilling, Geoprobe and more. 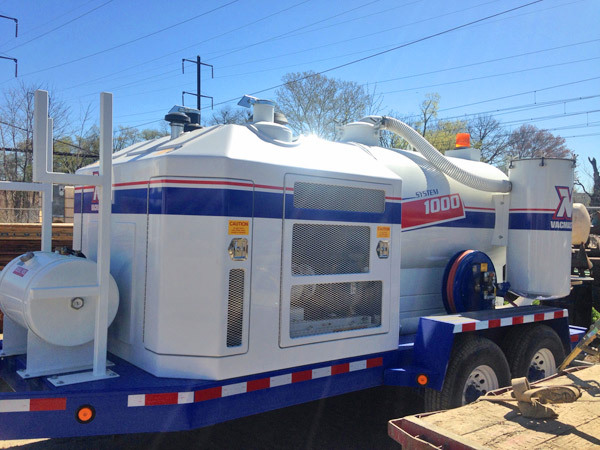 For more information on our vacuum extraction, soft dig services or the VACMASTERS 1000, contact us today. Our vacuum extraction service can be used in Pennsylvania (PA), New Jersey (NJ), Maryland (MD), Delaware (DE) and New York (NY).